Who invented Bluetooth? The name of the engineer most often associated with inventing Bluetooth is Jaap Haartsen a Dutch electrical engineer who, working for Ericsson, played a major role in producing the standard and specification for Bluetooth wireless technology. The Swedish inventor Johan Ullman also made a significant contribution to the invention of Bluetooth when he invented a "Telephone communication headset" in 1993 that led to the development of a hands-free headset. When was Bluetooth invented? Jaap Haartsen developed the standard for Bluetooth in 1999. Definition of Bluetooth: Bluetooth is defined as a wireless standard for a short-range radio technology that enables radio waves to transmit through walls and other non-metal barriers for short range radio links enabling wireless communication for hands-free telephony, cell phone headsets and wireless speakers etc. Pairing or linking two Bluetooth-enabled devices creates an ad-hoc, short-range wireless network known as a "piconet". What is Bluetooth? Bluetooth devices use radio waves instead of wires or cables to connect to a phone or computer. Bluetooth Devices: Bluetooth devices exist in a range of products, including cell phones, tablets, laptops, handheld devices, media players, speakers, console gaming equipment, hands-free car kits, robotics systems, headsets, modems, and watches. Fact 1: Who invented Bluetooth?The invention of Bluetooth was only possible due to new innovations such as the Cell Phone in 1973, the Personal Computer in 1976, Wifi in 1988, the World Wide Web in 1991 and the development of the Smartphone in 1992. Fact 2: Who invented Bluetooth? The birth of Bluetooth devices and technology had begun in 1993 when the inventor, medical doctor and scientist, Dr. Johan Ullman, invented a "Telephone communication headset" US patent number 5787166 on July 28, 1998, that led to the development of a hands-free headset for cell phones. Fact 3: Who invented Bluetooth? The standard for Bluetooth wireless technology was developed by Jaap Haartsen in 1999 during the Technology and Information Age of inventions a significant addition to advances made in the areas of Computing and Technology. Fact 4: Who invented Bluetooth? Prior to the invention of the Bluetooth protocol in 1995, there was no single wireless standard in the industry and unless a standard was agreed there was a danger of emerging wireless technologies becoming fragmented and confusing to users. Fact 5: Who invented Bluetooth? The major PC and cellular companies Ericsson, Intel and Nokia had already started short-range radio link programs to develop wireless technology. The program at Intel was called Business-RF, the program at Ericsson was called MC-Link and Nokia had a program called Low Power RF. Fact 7: Who invented Bluetooth? The first item on the Special Interest Group (SIG) agenda was to gain agreement to create a single wireless standard which would help to ensure compatibility between emerging devices. IBM and Toshiba would also join the group a little later. Fact 8: Who invented Bluetooth? Each company had different names for their short-range radio link programs. To avoid confusion they needed to come up with a codename for their Special Interest Group (SIG). 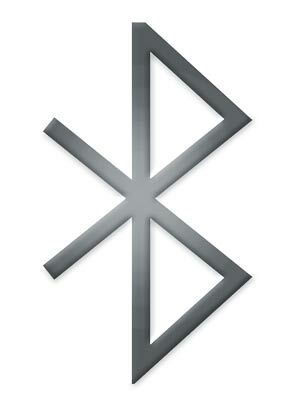 An Intel engineer called Jim Kardach and an Ericsson engineer called Sven Mattisson suggested the name "Bluetooth". Fact 9: Who invented Bluetooth? The codename "Bluetooth" derived from the name of a 10th century Viking ruler of Denmark, called King Harald "Bluetooth" Gormsson. The legendary King Harald Bluetooth was famous for his negotiating skills and for uniting Scandinavia. Fact 10: Who invented Bluetooth? The name "Bluetooth" appealed to the predominantly Scandinavian Special Interest Group (SIG) and fitted the objective of the group to unite the PC and cellular industries. Its establishment was formally announced on 20 May, 1998. By the end of that year, there were 400 members. Fact 11: Who invented Bluetooth? The codename "Bluetooth" was adopted for the SIG. "Bluetooth" was never meant to be the official name, it was just a useful codename that could be used before marketers came up with a more suitable option. Of course this never happened and the name "Bluetooth" became part of the English language. Fact 12: Who invented Bluetooth? The codename for the Blue tooth Special Interest Group (SIG) established, Nils Rydbeck, Chief Technology Officer (CTO) at Ericsson Mobile in Lund, Sweden tasked Jaap Haartsen with producing the standard and specification for Bluetooth wireless technology. Fact 13: Who invented Bluetooth? The Bluetooth protocols and standards were extremely important because they simplified the discovery and setup of services between portable devices and their applications. Fact 14: Who invented Bluetooth? The author of the specification for Bluetooth wireless technology, Jaap Haartsen, was born on February 13, 1963 in The Hague, Netherlands. Fact 15: Who invented Bluetooth? The early years of Jaap Haartsen were spent in The Hague, Netherlands where he was raised by his family. Jaap Haartsen was educated at Delft University of Technology. Fact 16: Who invented Bluetooth? Jaap Haartsen began his career at Phillips and then Siemens before joining Ericsson. He became an expert in wireless systems technology and built up his experience with other scientists and engineers finding ways to connect electronic devices to each other at short range without the use of cables, using a variety of low-power radio frequencies. Fact 17: Who invented Bluetooth? Jaap Haartsen produced the standard, protocols and specification for Bluetooth wireless technology and the Bluetooth 1.0 Specification was released in 1999. Fact 18: Who invented Bluetooth? Jaap Haartsen's patent on “Frequency Hopping Piconets in an Uncoordinated Wireless Multi-User System,” was issued on July 8, 2003, patent number US 6590928, and is commonly known as the "Bluetooth Patent". Fact 19: Who invented Bluetooth? The first mobile phone with Blue tooth technology was launched in the year 2000. In 2001 printers, laptops and the first hands-free car kit was introduced. The first MP3 player with Blue tooth technology was launched in 2003 and stereo headphones were introduced in 2004. Fact 20: Who invented Bluetooth? Bluetooth technology has changed the way we communicate and the advancement of wireless services is making life easier for people around the globe.